In India, even though national epidemiological data is not available, many studies suggest that approximately 35,000 babies are born with cleft lips every year. New Delhi: Smoking, alcohol consumption, exposure to chulha smoke or passive smoking, over-medication and radiation exposure during first few weeks of pregnancy along with nutritional deficiencies may lead to congenital deformities of the face such as cleft lip and palate anomalies. The findings were from a study conducted by researchers at the All India Institute of Medical Sciences. Cleft lip or cleft palate is a condition when two sides of the lip, developing in an unborn baby, do not completely fuse together. It affects weight, speech and chewing habit of a child and leads to abnormal arrangement of teeth, poor jaw relations and facial aesthetic. Cleft lip and palate anomaly constitute nearly one-third of all congenital malformations of the craniofacial region with an average worldwide incidence of 1 in 700. Its incidence in Asian population is reported to be around 1.7 per 1,000 live births or higher. In India, even though a national epidemiological data is not available, many studies from different parts of the country have reported a variation in the incidence of cleft anomaly. Based on rough estimates, it is suggested that approximately 35,000 new-born cleft patients are added every year to the Indian population. The study, initiated by the Centre for dental education and research (CDER) at AIIMS in 2010, was conducted in three phases: pre-pilot, pilot and multi-centric. The pre-pilot phase was conducted between 2010 and 2012. It aimed at developing comprehensive protocols for recording the history, investigations on dental anomalies, hearing defects and evaluation of speech-related problems in patients with cleft palate. “The idea was to have a uniformity in the procedure of collecting the patients’ records,” said O.P. Kharbanda, CDER chief and principal investigator of the project. During the pilot phase (2012-2014), data of 164 cases with cleft lip and palate anomaly were recorded from three high-volume cleft care centres in Delhi and National Capital Region, involving two public funded hospitals AIIMS and Safdarjung and one private hospital Medanta – The Medicity in Gurgaon. “It revealed that patients suffering from this deformity had high treatment need with an immediate need to devise strategies to improve the delivery of quality care,” Kharbanda said. Currently, the multi-centric phase is underway in New Delhi, Hyderabad, Lucknow and Guwahati. “In our study, we also evaluated a few risk factors including maternal smoking and alcohol consumption, intake of drugs during the first trimester of pregnancy and exposure to smoke during the same time by the use of chulha at home or due to passive smoking. 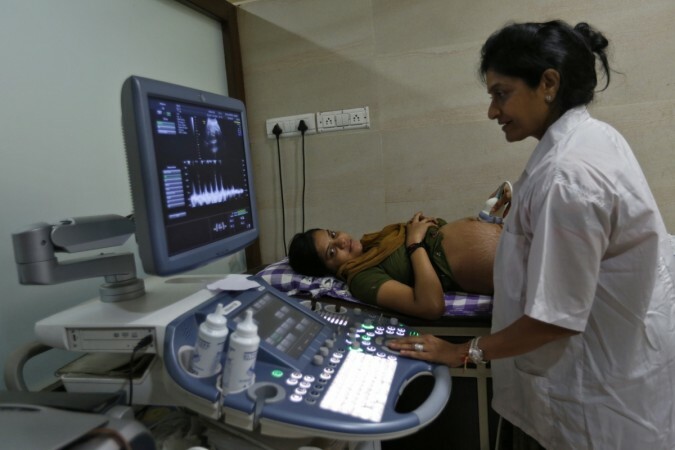 “We also took into account the history in drug intake and radiation exposure in the first trimester of pregnancy and it was concluded that all these risk factors may be related to increased incidence of cleft in the progeny,” Kharbanda said. The government’s Rashtriya Bal Swasthya Karyakram has identified cleft lip and palate as one of the visible deformities which are recorded under the programme. A web-based recording system, “IndiCleft” tool, has been developed with the help of The National Informatics Centre. Balram Bhargava, director general of ICMR, will launch the “IndiCleft” tool on February 14.